From now until the end of February, buy a Micro Market Max kiosk, and we’ll pay for your customers initial wallet balance! 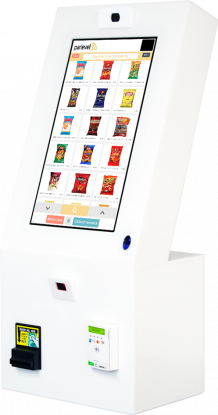 With Parlevel Micro Markets, your customers can create virtual wallets on the kiosk that can be accessed via pin, badge, or fingerprint. Your customers simply load the wallet with credit, and pay with just a few touches. 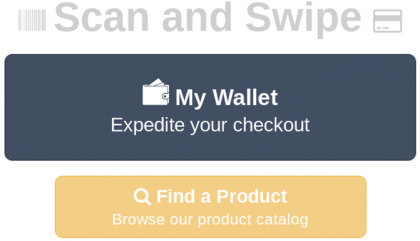 These virtual wallets increase overall sales in a Micro Market. Wallets inspire repeat purchases, increase your average ticket size, and make it easy for your customers to scan, pay, and enjoy! Parlevel’s Max Kiosk is powered by a 21″ touchscreen set in a durable, acrylic kiosk that won’t rust or warp. Backed by a fingerprint reader, barcode scanner, cashless payment acceptor (swipe and NFC), built-in webcam and optional RFID reader, our kiosk gives you the tools to maximize sales, maintain dependable performance, and speed up your micro market service efficiency. *$2 per Wallet for up to 300 Wallet users. Wallet accounts must be created by March 31st.